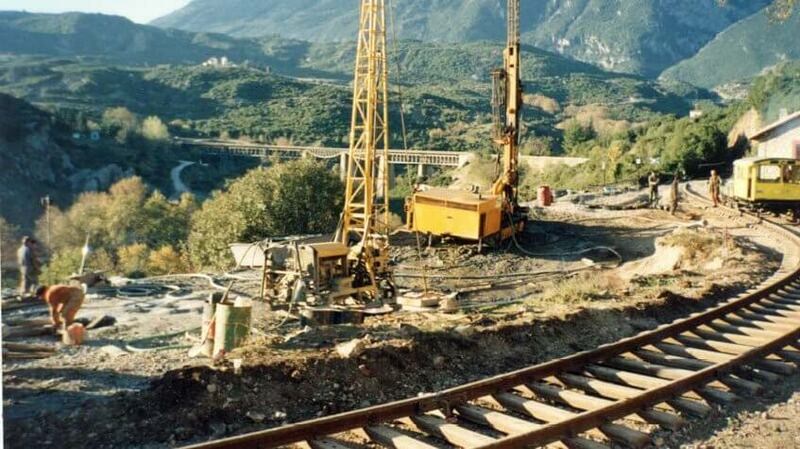 GEOCONSULT LTD – HELLENIC RAILWAY ASSOCIATION S.A.
MAIN CONTRACTOR EDRASIS – CH. PSALIDAS S.A. The project is located near the community of Gorgopotamos at a distance of 300 m W-SW of it and 200 m north of the famous bridge over Gorgopotamos river. 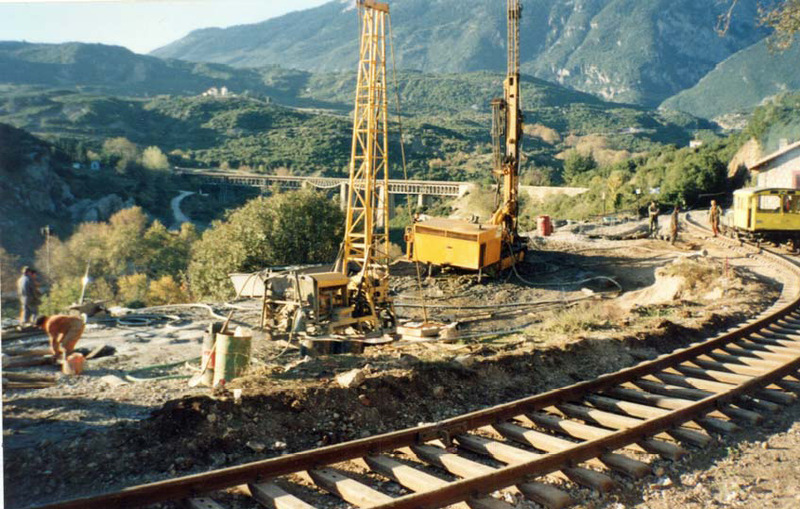 The Athens-Lamia railway is crossing the area. In this area the ground is sloping steeply towards the river. 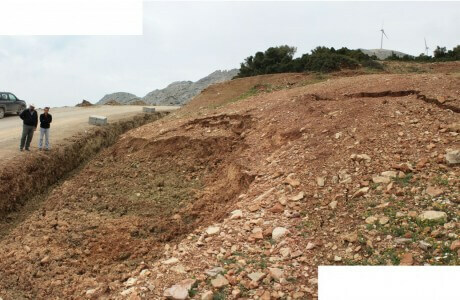 A landslide developed progressively on this slope following heavy rainfall. Geotechnical investigation consisting of 3 exploratory boreholes of 70 m total length, with the relevant laboratory tests and compilation of a factual and interpretive report. The railroad tracks’ rehabilitation and landslide stabilization works included 2 rows of large diameter piles along the toe of the landslide and 4 rows of micro piles in combination with jet-grouting on the crest of the landslide (area of railroad tracks).